Immediately improve your night photography during a private London Night Tour and enjoy an enhanced learning experience geared towards you. Let’s photograph London at night uncovering the creative genre of night photography as you learn how to take photographs at night using slow exposures to create stunning photography images. 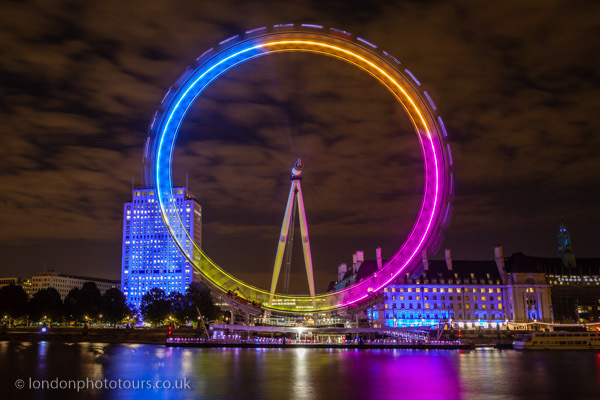 We use the vibrant city landscape of the South Bank and create outstanding images of great Iconic London landmarks such as the London Eye, Westminster, Big Ben, Royal Festival Hall, Westminster Bridge, Jubilee Bridge and Victoria Embankment as you focus across the River Thames. Capture luminous river views of the City at night as reflections fill the river with vibrant bursts of colour. During summer months we explore the atmospheric ambience of twilight, dusk and night photography. 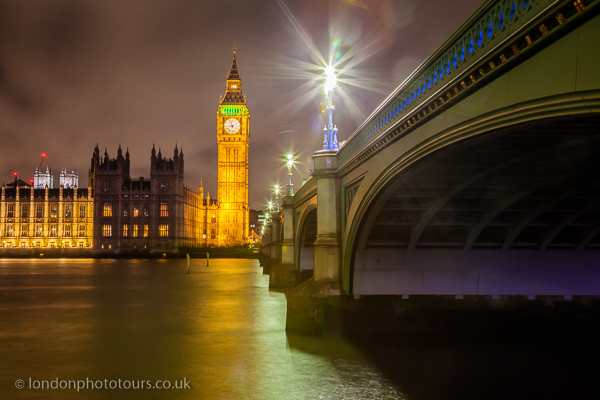 Our London Night Photography Tour is a private tour with one to one tuition for an individual or private to your own personal group of friends and colleagues. This is a empowering tour packed full of advice and guidance on how to improve your night photography so that you become confident when photographing at night. Use the learning from our night tours to achieve stunning shots of the Aurora Bolus when you travel to Northern destinations. We look forward to sharing our best tips on photographing London at night. We recommend that for the best photographs possible please bring a tripod or use our tripod hire service after you checkout (subject to availability).